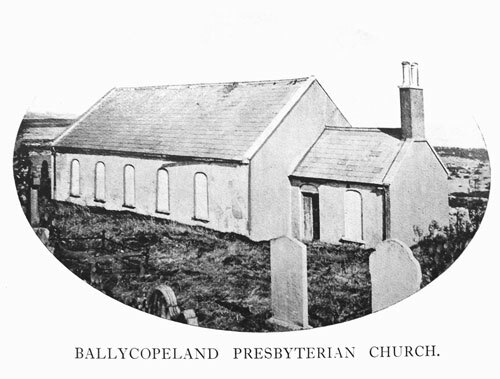 I have updated my web site with the transcription of Millisle and Ballycopeland Presbyterian Church: A Short History. 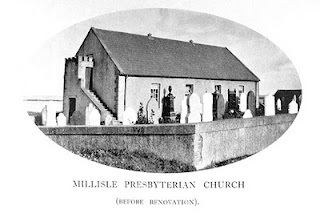 This book was written in 1934 by the then minister, Rev Thomas Kilpatrick, and tells the story of the Presbyterian congregations of Millisle and Ballycopeland which are situated along the coast of North Down and were erected in the late 1700s and united as a single congregation in 1906. Following the usual style of congregational histories of the time it details the formation of the congregations and its progress through its ministers but also contains the names of many of its members and families from Millisle and surrounding townlands. 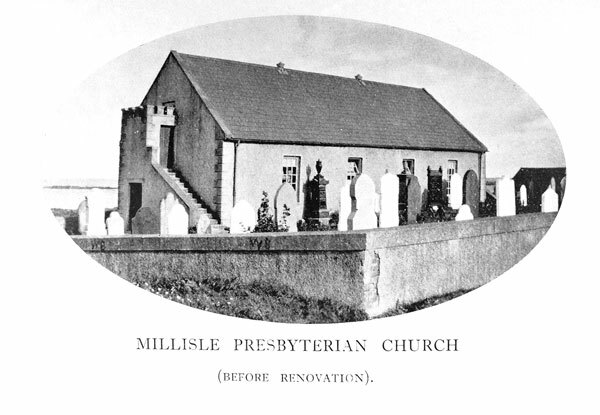 During these years of hardship and distress many members of the congregation of Millisle emigrated to America. Most of these settled in and around Rock Island, a city of western Illinois, U.S.A. on the Mississippi River. A strong colony of Irish settlers from Ballymacruise, Drumfad, Ballyhaskin, Ballywhiskin, and adjoining townlands was established here, and that colony still exists. The descendants of those early emigrants differ in speech from the surrounding farmers and tradespeople, and they still like to have news about Millisle and the old folks whose names are so familiar to them.